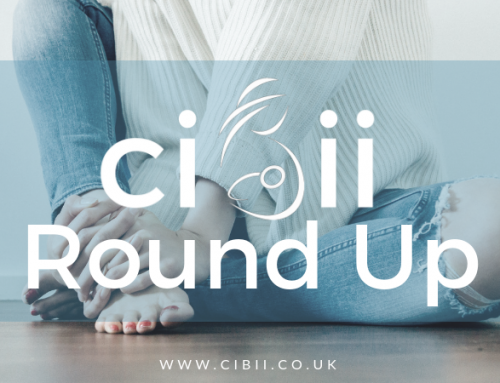 Weekly Round Up 7th October | Can I Breastfeed In It? A lovely soft and versatile cardigan. Suitable for pregnancy and subsequent breastfeeding. Wear open for waterfall style but it can also be buttoned at th shoulder and tied closed to define waist. There is a roll collar and saving the best for last-internal pockets! This is a truly immense item of breastfeeding wardrobe! Everyone needs a corduroy pinny in their wardrobe this season. This one is a fabulous mustard colour and has adjustable straps, handy front pockets and metal buttons on the side of the waist. It can be paired with so many things, from your favourite tee, to a chunky knit when the temperature dips. Over leggings, with tights, the options are endless. Stylish wrap over top in a a great bold red. Looks great with skinny jeans and is a bargain in the sale! I love the Autumnal colours of this shirt! It features a button up front and collar and long sleeves with cuffs. Style with a corduroy skirt or trousers in a matching autumnal shade for a classic seasonal outfit. Leopard print can be subtle so why not try this luxe black version. V neckline, rolled 1/2 sleeves and button up front for that all important nursing access. A lovely comfy wrap dress from Joules. Confirmed as great for growing baby bumps too. It is a genuine wrap and easy for feeding! I daren’t mention the C’mas word, however….. get it quick before the big month arrives! This cute but smart long-sleeved shirt has tiny little robins wearing bobble hats, team with skinny jeans or corduroy skirts all ready for the festive season. Smart and versatile jumpsuit from New Look. V neckline and button front for nursing access. Tie-waist and cropped leg. Lovely Autumnal orange. Also available in black, khaki and mustard. Super new shirt dress at New Look. Chic and grat styling. Revere collar, double pocket front, rolled short sleeves, button through fastening with a bekted waist and midi length. This roll sleeve shirt is only available on-line. A great country look this Autumn. With collared neckline and a duck pattern this blouse is easy to dress up or down. Teal is a great colour to pair with mustard and other contrasting shades. And now for the Winter version of their jumpsuit….. the luxe velvet jumpsuit! Couple with bright tassel earrings and heeled sandals for a fierce evening look. V-neckline, wrap-front design with cap sleeves, belted waist and cropped wide leg. Aniaml print is everywhere and this is a great high street option, with long sleeves too for colder days! Wear with chunky boots for an edgy look! The dress has a v neckline and button front fastening for feeding. It has a waist tie, cuffed sleeves and is a trendy midi length. Smart and stylish burgundy wrap dress with pretty petal sleeves, Lovely for lunch dates or just because! A vintage style dress with contrast button front for feeding access. Belted waist and cuffed, long sleeves so perfect for fresh autumn days! This lush jumpsuit has a pleated design, a V neckline and comes in a wide leg style. Chic wrap front dress with circle buckle detail. Neat cap sleeves and great midi length. Fab little black dress, very cool styling! Oh and it has pockets. Tuxedo style wrap front dress with a kick split. This gorgeous dress is our Outfit of the Week. With long sleeves and a maxi length this is a smart dress for Autumn. In sizes 6-24 and a silver or brown print. A previous Outfit of the Week. A fun and playful shirt dress that has easy feeding access. This dress would be great for Summer as well as with tights an boots for colder days. Love this little dress.